Gibsons Italia courtesy of Marc Much for "Eater Chicago"
Lecturer in the School's Department of Architecture, Interior Architecture, and Designed Objects Terry Surjan provided thoughts on the design of the new Gibsons Italia restaurant for Eater Chicago. The restaurant, which won Chicago's 2018 Eater Award for most beautiful restaurant of the year, offers a fresh take on the iconic Chicago steakhouse. 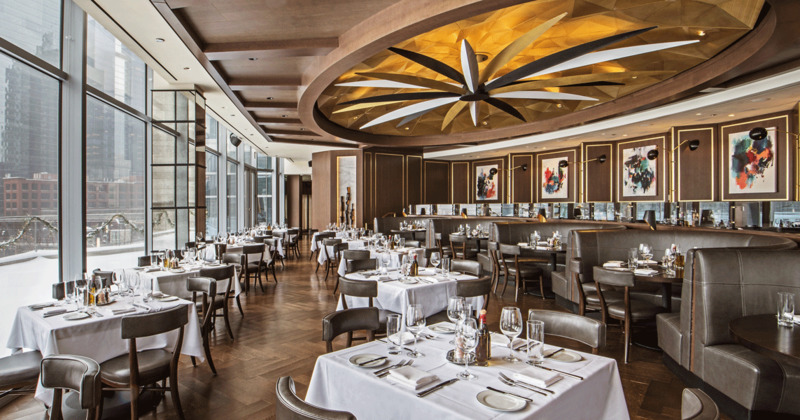 "Surjan says ceilings are often neglected, so this was a nice change: 'To have a ceiling that’s as ornate as this in the main dining room is very well done, and on top of that, they incorporate the logo for the restaurant into that, creating sort of signature piece,'" reports Eater Chicago.